As with all excellent products, the longer that you have to brainstorm and make improvements, the better your product gets. That’s why it should come as no surprise that Michelin Tires are the world’s largest tire manufacturer. Michelin Tires began in Paris, France in 1888. In 1946, they designed the world’s first radial X tire, after which all current passenger and light truck tires are patterned. In 2008, they became the world’s largest tire manufacturer and are still on top today. This is most likely due to the fact that they are committed to improving the “progress of mobility,” meaning that they are dedicated to finding improvements that will make their tires even better. At Country Town Tire & Auto Service Center, we are pleased to offer you a wide selection of Michelin Tires for your perusal. Michelin Tires manufactures everything from all-season passenger tires to ultra-high-performance tires. With our knowledge of different types of Michelin tires, we are able to help you find the tires that will best meet your needs. For example, if you are interested in an all-season passenger tire that will increase your gas mileage, Michelin Tires Energy LX4 is an excellent choice. When you are ready for new tires for your vehicle, you have two options: come in and check out our selection, or visit our website and check them out from the comfort of home. If you choose to browse from your home in Lincolnton, NC, all you have to do is put in the year, make and model of your vehicle, and a list of tire options will come up. 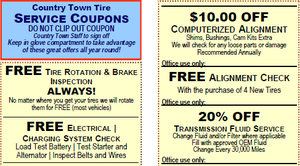 We are committed to finding you the best tires for your vehicle; come in and see us today!